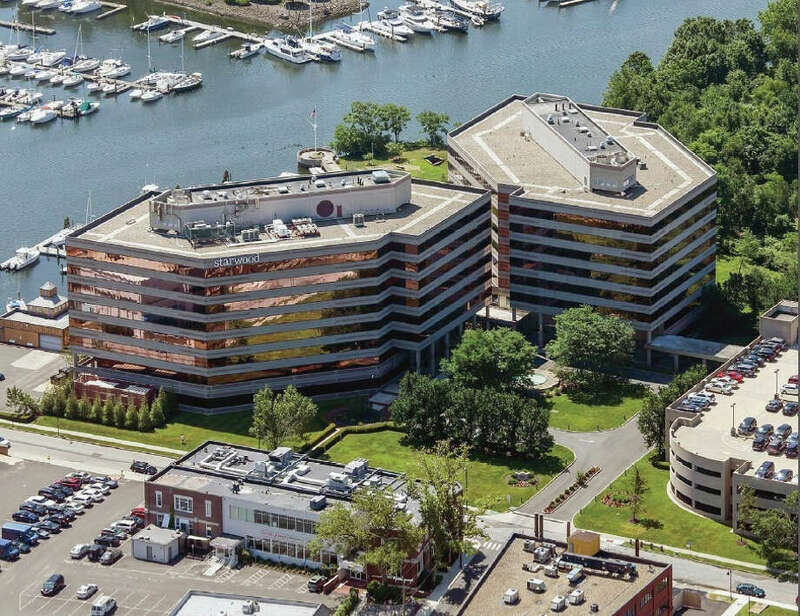 The headquarters of Starwood Hotels & Resorts Worldwide is located at One StarPoint in the South End of Stamford. STAMFORD — Marriott International completed Friday its acquisition of Stamford-based Starwood Hotels & Resorts Worldwide, a merger that creates the largest hotel company in the world. The new company will operate or franchise more than 5,700 properties and 1.1 million rooms, comprising 30 brands in more than 110 countries. With the completion of the acquisition, Marriott’s distribution expands to include Starwood’s portfolio of some 1,300 hotels worldwide. In comparison, Hilton Worldwide operates as the second-largest business in the industry with about 4,700 properties. Starwood officials on Friday referred inquiries about Starwood’s future in Stamford to Marriott. A message left for Marriott was not immediately returned. “The vast majority of Starwood’s Stamford-based corporate team will continue on with the combined company through at least year end, with some teams scheduled to remain beyond that time,” Starwood spokeswoman Carrie Bloom said in a July statement to Hearst Connecticut Media. “Therefore, we expect the Stamford office to be open for an extended period of time post-close. Since moving its headquarters in 2012 to Stamford from White Plains, N.Y., Starwood has grown into one of Stamford’s largest corporate employers. Based at 333 Ludlow St., also known as One StarPoint, in the city’s South End, the company now employs about 700 in Stamford. City officials have said that they hope that the company would maintain at least some staff in the city, including in the digital marketing and IT divisions. Marriott is looking for a new headquarters in the Washington, D.C., area. It is now based in Bethesda, Md., where its headquarters lease runs until 2022. About 4,000 Marriott employees are based in Bethesda and in satellite offices in the surrounding area. Sorenson will remain Marriott’s president and CEO. The acquisition of Starwood will allow the combined company to expand its distribution and portfolio and use its larger scale to make savings in its corporate and property operations, according to Marriott officials. Marriott executives have said that they are confident their company can produce $250 million in annual “corporate cost synergies” following the acquisition. One-time transaction costs for the merger are expected to total approximately $140 million. Before the market opened Friday, Starwood’s shares stopped trading on the New York Stock Exchange. Starwood shareholders will receive $21 in cash and 0.8 shares of Marriott Class A common stock for each share of Starwood common stock. Facing significant charges from several major deals including its merger with Marriott, Starwood recorded a second-quarter loss of $263 million. The bottom line reflected a loss of $228 million on discontinued operations related to the spin-off of its Vistana vacation-ownership business to Interval Leisure Group. Some $15 million in costs related to Marriott’s acquisition of Starwood also contributed to the loss. The second-quarter loss compared with a profit of $136 million in the same period a year earlier.